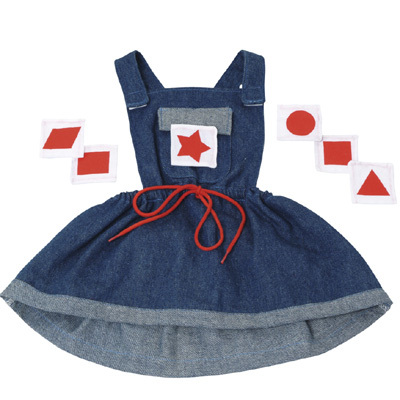 Jeans Dress 6 shapesThe jeans trousers has 6 different colours and the jeans dress has 6 different shapes. The colour or shape can be fixed on the front pocket with Velcro. The sets can be used with each of our handpuppets. Use a handpuppet to teach the different shapes and colours. Due to the Velcro in the hands the handpuppet can also show the colour or shape itself. 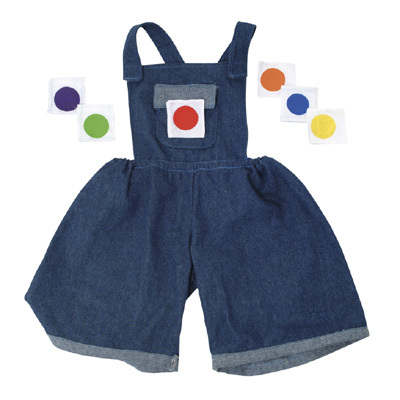 The jeans trousers with colours and jeans dress with shapes are sold separately.